The credit crunch has got us all tightening our belts to the last hole, and mobile bills are the last thing we want flopping through the letterbox. Know what's on offer and you're less likely to get taken for a ride by retailers. Determine what kind of mobile user you are before hitting the shops - do you mainly text, or are you hooked on Facebook? If it's only for the odd call or text, would pay-as-you-go be a better option? Answer these and you won't find yourself walking out with a two-year, £60-a-month contract when all you wanted was a top-up voucher. The first place to look is online at the networks' own websites. Most will offer a discounted line-rental for buying online, with even better deals if you sign up for 18 months rather than 12. 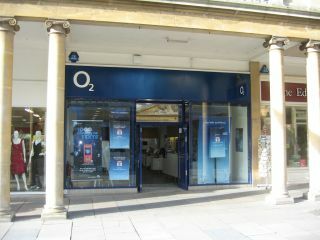 Check out major retailers like Carphone Warehouse online as well. New mobiles are being released all the time, and retailers can't afford to have a warehouse full of yesterday's news. That's why you'll find great deals on handsets that have been out a few months. If you can bear not to be a trendsetter, you'll get a cheaper deal. Networks will go the extra mile to get you signing on the dotted line. It's almost standard these days to be offered a free Wii, PlayStation or Nintendo DS when you choose certain handsets - and with Christmas round the corner it could cut back your expenditure on presents. Cashback deals are also common, but you probably won't see the money until mid-way through your contract. Check if it's possible to customise your standard contract or pay-as-you-go tariff with extra 'bolt-ons', adding more texts or increasing your data limit for a few extra pounds a month. Networks can really sting you on data charges, so make sure you get one of the new 'all-you-can-eat' style tariffs or bolt-ons. If you've a trip abroad planned, check out the international options to stop you running up a huge bill. If you have an old handset, the cheapest offers are on SIM-only deals. Basically, you buy a SIM card that includes free minutes and texts for a much cheaper monthly line-rental - the catch is you don't get a phone. They're usually done on a 30-day rolling contract basis, so there's no signing your life away for 18 months. It's the oldest one in the book - and obviously we wouldn't endorse this in any way - but there's no harm in reminding your provider that you're not mutually exclusive. It's also worth checking out the opposition and asking your provider if it's possible to price match, because after all - you don't really want the hassle of changing to a new network. Networks used to only be interested in wooing new customers. Now, with recession looming, they're keen to keep hold of everyone they've got, so you can get just as good a deal when you upgrade as when you first signed up. Remember, what you read in the tariff guide isn't necessarily definitive, and networks can sometimes do more personalised deals for existing customers. If you're phone is in decent condition you may want to forego the option of a new handset in favour of getting a better deal on your line rental. Like SIM-only deals, if your network doesn't have to give you a new mobile when you upgrade, they could half the cost of your line-rental. The downside is you don't get a new toy to play with. Most retailers will try and flog you some form of insurance with your mobile - which is great if someone nicks your phone and runs up a massive bill, but most of the time is just another direct debit eating away at your bank balance. Make sure you check whether you're household insurance or credit card covers your mobile in the event of loss or theft before signing up for anything in-store.